For Business travelers. Special rates for Armenian – Thai Chamber of Commerce members and associates. ROMPO MANSION is a modern 11 storey Apartment Hotel situated in the heart of Bangkok. It epitomizes near perfect location.Rompo Mansion is far enough away from the hustle and bustle of central Bangkok to provide a laid back location for the perfect getaway, yet it is close enough to be within easy reach of everything that Bangkok has to offer. It is the perfect base from which to explore and enjoy Thailand’s eye opening and enthralling capital city. Rompo Mansion is the ideal location for the businessman, tourist, student and backpacker alike and families are very welcome and are well catered for. Within walking distance of Rompo Mansion you will find a multitude of local and international restaurants, shopping malls and the famous chaotic, sprawling Klongtoey Market. Nearby attractions include Golf driving ranges, Tennis courts, Queen Sirikit National Convention Center and Park, Queen Sirikit MRT Underground station, Bangkok University, Theptarin Hospital, Emporium Shopping Mall, BTS Phrompong Skytrain Station, K Village, ….. to name but a few. 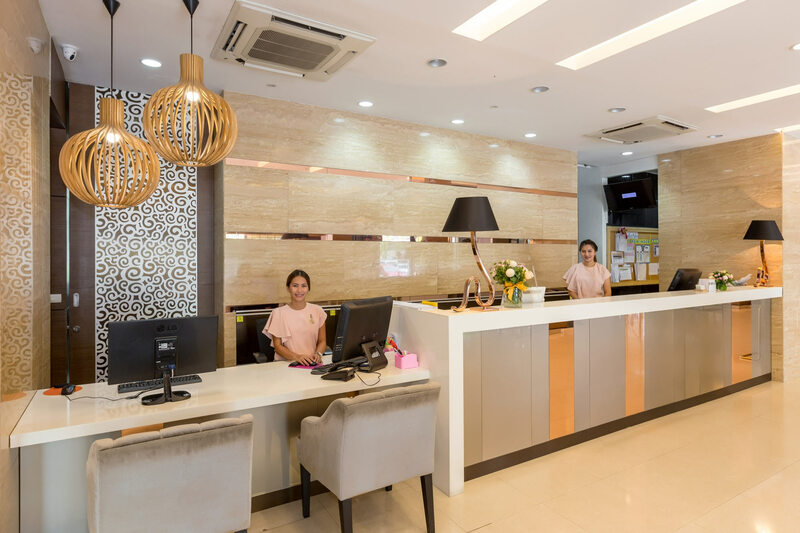 Rompo Mansion exudes a genuine warmth and friendliness like no others and the management and staff are totally committed to providing “Great Value Lifestyle Living in Bangkok” and offering unrivalled value, flexibility, facilities and customer service. With Room sizes from 35 sq. m to 110 sq. m and with prices starting from as little as 12,000 baht per month for the Premium Standard Studio Room up to 65,000 baht per month for the Penthouse Suite, every budget and everyone can be catered for. The hotel rooms can also be rented daily. Generous discounts are available for 1 year contracts. 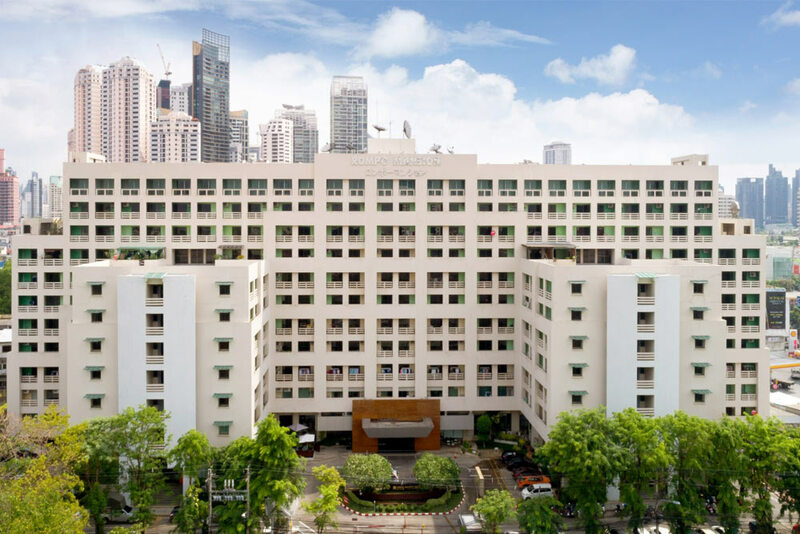 The large number of long stay residents currently residing in Rompo Mansion is confirmation that we are on the right road to having Rompo Mansion becoming synonymous with Affordable Quality Hotel, Serviced Apartment & Apartment Accommodation in Bangkok. The On Site Facilities are second to none. The eleven floors are serviced by 3 large spacious elevators, including 1 service elevator which also services the underground parking. There is a large swimming pool (20 m x 10 m) and a huge outdoor jacuzzi. Other facilities include a compact fitness center, steam rooms, mini mart, coffee shop, massage shop, “ Rompo Muai Thai Academy” and “Rompo Muai Thai Gym”, snooker club , beauty salon and laundry . There is also a state of the art “ Business Centre” and “Busy Bees @ 115 “Coworking space. The “Katsu tei ” restaurant and Cafe and “Vietnamese and More” restaurant, (regarded by many publications as being one of the best in Bangkok) provide our guests with a great choice of food. Add in the Travel Agency, Bicycle shop and Scuba Diving School and one would have to ask why stay anywhere else ? The early morning shuttle service to the nearest underground is very much appreciated by residents and guests alike. 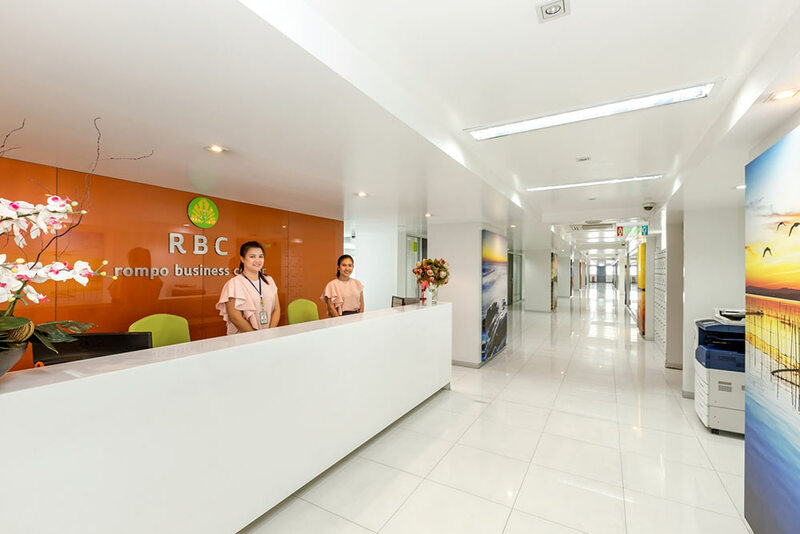 We can confidently state that our location, service and facilities makes Rompo Mansion the ideal place to stay in Bangkok for business travelers, long stay visitors , tourists, backpackers, students, families, etc. Rompo Mansion also provides onsite Storage Facilities for guests and tenants. Rates start from as little as 300 baht per month . Contact reception for full details. Rompo Mansion provides 24 hour manned security with CCTV cameras throughout the building and grounds. Safe and secure car, motorbike and bicycle parking is also provided for all our guests. Access to the elevators is via Key Card ONLY.